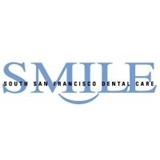 South San Francisco Dental Care (South San Francisco) - Book Appointment Online! Dentistry is our profession but service is our passion. WE ACCEPT ALL PPO INSURANCES. 100% SATISFACTION GUARANTEE. Experience the pleasure of modern dental care that combines the latest technology with unparalleled customer service. NO REFERRALS NEEDED We provide general, cosmetic, implant and sedation dentistry for you and your family. With our team of associates and specialists, you don't have to go anywhere else. FLEXIBLE PAYMENT OPTIONS We offer interest-free financing and accept most dental insurances, and major credit cards. SEE A DENTIST TODAY We're here when you need us. Same day emergency appointments are available, including night and Saturday hours. The best!! Looking forward to coming back! Thank you!! I didn't think the doctor treated me like an adult - it was also odd that she kept trying to make small talk during the appointment, especially when she had her hands in my mouth. She was friendly, but also talked to me like I was a child. It was patronizing. Despite efforts to appear friendly, this clinic is not one I would recommend. I've heard from other patients as well that they are not transparent about their pricing and send you surprise bills, charging your insurance for things you did not authorize. Their Saturday appointments are convenient but I won't be going back.